As technology is evolving, so is the way we tell stories. 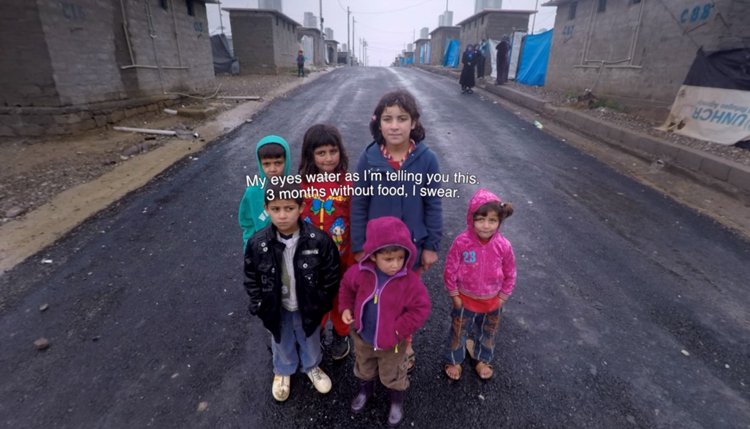 Virtual Reality is becoming more and more accessible and storytellers are experimenting with it. Still, some people in the industry find it hard to believe that watching films on the Oculus Rift is going to be successful. Pixar co-founder Ed Catmull is one of those skeptics about movies in virtual reality: “It’s good, but it’s not storytelling. The fact that you’ve changed the technology, and people are excited about it, doesn’t change the underlying difficulty of the compelling narrative story,” he stated in an interview with the Guardian. “Linear narrative is an artfully-directed telling of a story.” So… a virtual reality movie cannot be an artfully-directed telling of a story? I disagree. It’s a new way of storytelling and despite a few difficulties, it enables a lot of new possibilities. It’s the immersive factor that can make you feel even more present, more involved. The absence of distraction is another advantage. A great new example is ‘The Pursuit of Happiness,’ a series of portraits about Syrian refugees in the northern part of Iraq. Stichting Vluchteling and VR Gorilla managed to capture the emotions in the surroundings. Would this be a good story without VR? Probably yes, but I really do think the 360° experience is of added value. Inside the refugee camp you can look around, but you don’t have freedom of movement, underlining the disempowerment. By listening to the heartbreaking stories in such a way, it makes you sense the hopelessness of the situation. Another project I’ve written about before is LoVR, a VR experience that makes you feel as if you’re falling in love. And of course a lot of VR projects were presented at the Sundance Film Festival this year. You can download the Sundance VR app in order to experience some of these projects. I recommend the obscure Sonar. Try it out and you’ll see that this IS storytelling.